UPS knows you have better things to do than sit around and wait for packages. That’s why they’re revolutionizing how you receive packages with UPS My Choice, a service that delivers packages on your schedule, along with offering other get-your-life-back options. The new service makes wasted time and missed package slips a thing of the past as it lets you take control of home delivery. Membership perks of the no-fee service include getting phone, email, or text alerts the day before your packages arrive, approximated delivery times, and the option to electronically authorize the release of packages that require a signature. You also get the ability to reroute, reschedule, or pick up at The UPS Store® (for a minimal fee). 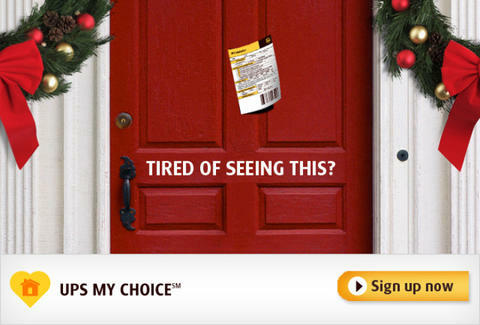 Check out more details on UPS My Choice. Then get on with doing all those allegedly better things.